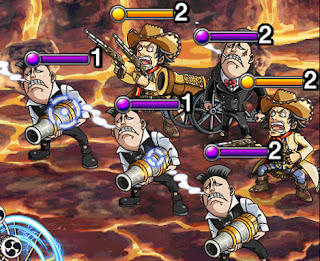 Captain: 2.5x ATK to Shooters. 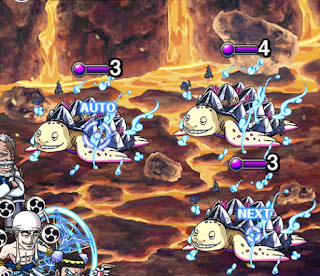 This raid has a lot of chains so get some Anti-Chain sockets, even Lv.1 comes in handy between stage 3 and 4. Especially at Zephyr. Ain is not much of a problem. Just have strong ATK units. 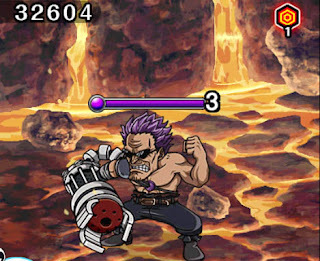 You can bring GP Usopp but use after the 4 turn protector has ran out. You will want some ATK reducer like Nami, Alvida, Perona. 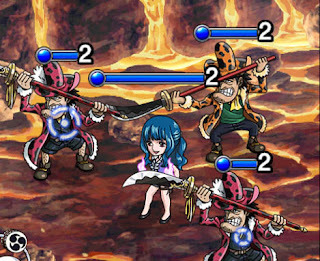 Any of the 3 INT Cannoneers will chain PSY characters for 4 turns. Do no get hit! Hit one of the Elders with GP Usopp to defeat. ( GP Usopp and Coby hitcombos are 6). It's recommened to bring some Anti-Chain sockets with you, but it's not necessary with a strong crew and correct subs. Debuff protector for 2 turns. Debuff protector for 4 turns. Reduce Zephyrs 2 attacks with Perona/Alvida and Nami. 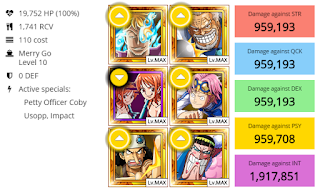 After his 4 turn protection has worn out you must use GP Usopp to delay him. If you have some sockets, this raid will become a lot easier. Variation 2 of Garp crew using guaranteed PSY orbs and the 2x PSY ATK Usopp. Block damage with Nami first, then when you get damage use Marco to heal up. This is some risky play and you need a max. special Marco friend to run. Usopp may be replaceable with Story Enel but you will lose a lot burst. One turn KO using all your specials : D all in crew, if you fail you'll go game over. 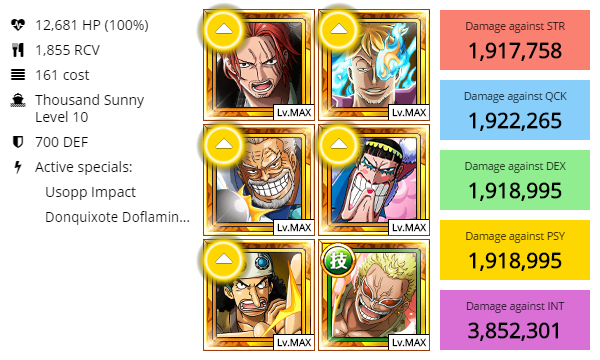 Damage tank Zoro/Sanji + Vivi/Monet teams work very well for this one. Surprise after a while to get zombie tankable raid. 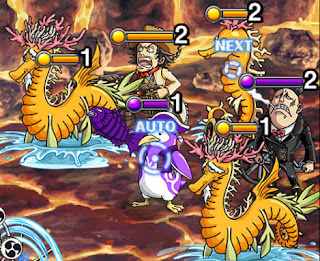 I use the 1st team formation but replaced Alvira with Doffy. 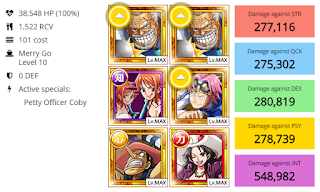 Double Garp, Marco, Coby, Lysop (GP) and Perona (or alvida) also works very well. Its a 100% thing. No socket or special requirements! Just collect enough meat to survive his 16k attack a 3rd time. Only if u have bad luck u need to activate garp for that or use GP/Peronas special.